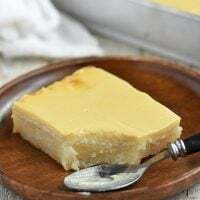 Pianono with soft, pillowy sponge cake and creamy margarine and sugar filling. This Filipino-style jelly roll is mildly sweet and the perfect accompaniment to tea or coffee. 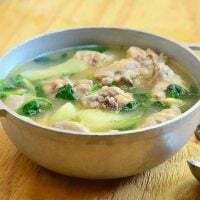 Hi, it’s Bebs here again from Foxy Folksy, and I am back with another delicious Filipino treat. This time we are making Pianono! Pianono or Pionono is a type of pastry popular in Spain, South America, and the Philippines. It was named after the late Pope Pius IX or ‘Pio Nono’ as the good people of Italy called him, where the pope hailed. The original creator of Pionono, however, is from Santa Fe, Granada of Spain, Ceferino Ysla Gonzalez, who is a devotee of the Virgin Mary. The story says that some years after Pope Pius IX proclaimed a dogma of the Immaculate Conception, Gonzalez decided to pay homage by creating these mini bite-size cakes shaped in the likeness of the Pope and of course named them after him as well. Similar to its Spanish and South American counterparts wherein bread or pastry dough is rolled around various fillings; the Filipino-style Pianono is a type of jelly roll consisting of a soft, pillowy sponge cake wrapped around a mixture of margarine and sugar. 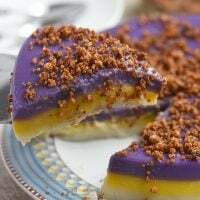 This Philippine version is often adapted to include local flavors such as ube, mango, and mocha. This Filipino sponge cake roll is probably the most unpretentious cake you can make. 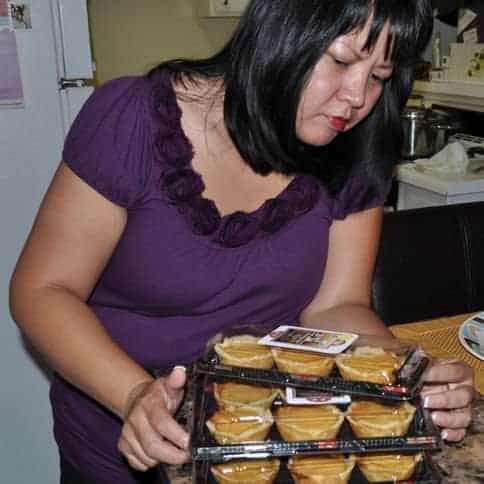 Aside from the simple filling of margarine and sugar, the original Pianono recipe requires only four ingredients, and that would be the eggs, flour, sugar, and milk. 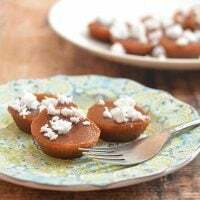 We are, however, taking things up a notch with a splash of vanilla extract added to the batter and a dusting of powdered sugar as a final touch. Now, you might be wondering why I added cornstarch to the list. The answer to that is because we want our Pianono to be soft and airy like it should be. Think of Mamon, and that should give you an idea of what texture we are aiming for. Based on my own experience in baking cakes, the key to having a very light cake is to use cake flour instead of plain all-purpose flour. But since cake flour is not a pantry staple and I have cornstarch on hand more often than not, I’ve resorted to making my cake flour by substituting a part of the all-purpose with cornstarch. Separate the egg yolks from the whites while it is cold, it is easier. Allow the egg whites to reach room temperature before whisking to create more volume. Use eggs that are fresh if possible, they might not create as much volume as older (3-5 day-old) eggs, but they make a more stable meringue. Make sure there is not a speck of grease of fat or even a smear of yolk in the whites as this can cause your meringue to deflate. Avoid using high speed while whisking or beating the whites. It will make the work faster, but as it incorporates more air and creates larger bubbles, it tends to deflate the meringue during or after baking. As a guideline, here are visual examples of each step. Soft Peaks Stage-peaks begin to form when beaters are pulled from the foam but are too soft to hold shape. Stiff Peaks Stage-mixture is glossy, thick and very stiff; peaks hold up straight without collapsing. This classic Filipino sponge cake roll needs to be on your baking list ASAP! Soft, pillowy and with the light touch of sweetness, it makes the perfect snack or dessert. You’ll love a slice (or two) with your afternoon tea or coffee. Want more delectable jelly roll treats? Try this brazo de mercedes! In a bowl, beat the egg whites using a mixer at low speed for 1 minute or until frothy. Sprinkle the cream of tartar on top and continue beating until soft peaks form. Gradually add 1/4 cup of the granulated sugar, a tablespoon at a time, while continuously beating. Once all sugar is added, turn up the speed to medium and continue beating the meringue until it forms stiff glossy peaks. In a large bowl, cream together the egg yolks, the remaining 1/4 cup sugar, milk, and vanilla extract until it becomes light in texture and color. Sift the flour, cornstarch, and baking powder and add to the egg yolk mixture. Mix well. Gently fold in a third of the meringue into the egg mixture and then add the rest and fold until well combined. Pour the batter into a 15x10x1-inch pan lined with wax or parchment paper. Bake in a 340 F oven for about 20 to 25 minutes or until the cake is golden. Remove from oven and loosen the edges of the cake. Transfer the cake including the wax paper to a rack and allow to cool. When cool enough to handle, trim off about 1/4 inch of the hard crust on the long sides of the cake. Dust a wax or parchment paper with powdered sugar and invert cake onto the paper. Gently peel the other wax paper off the cake. Beginning with the narrow side, roll the cake up together with the wax paper. Let it cool down completely, seam side down, for 10 to 15 minutes. Once the cake has cooled, gently unroll and spread cake with softened margarine and sprinkle with granulated sugar and re-roll. Cut into 1-inch thick slices to serve. 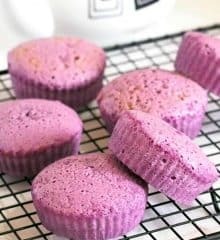 I am a lover of pianono… it is one simple cake/bread we love to eat… I really want to try preparing this and it helps that my son who is a special kid is into baking now a days. One of these days we will try baking pianono. Thanks for the recipe… more power!! !